Many leading agents in the ophthalmic therapeutic market are facing patent expiry in the next five years. This opens the door for innovative generic and formulation specialists to generate cost-effective mono- and combination therapies. In response, existing companies will be forced to develop new classes of drugs to protect their franchises and address areas of unmet clinical need. Meanwhile, the global incidence of eye disease continues to grow. An aging population and improvements in the detection and treatment of acute and chronic conditions are contributing to growing numbers of patients. Ophthalmic therapies cover a range of disorders including age-related macular degeneration (AMD), dry eye syndrome (DES), uveitis, glaucoma, and other eye diseases. Last year, the ophthalmic pharmaceutical market totaled about $12.3 billion. BCC Research forecasts this market will top $19 billion by 2019, as the industry focuses on commercially viable targets such as orphan drugs for rare diseases and treatments for dry AMD. The launch of innovative products and the emergence of biosimilars are also driving market growth. BCC Research predicts this market to increase at a five-year compound annual growth rate of 9.1% through 2019. During this period, glaucoma and uveitis drug sales are expected to grow significantly. Approximately 60% of global revenues are generated in the United States. According to Pharmaceutical Research and Manufacturers of America (PhRMA), there are more than 50 drugs in clinical development, including small-molecule agents, biopharmaceuticals, cell- and gene-based therapies, many of which target the underlying causes of diseases rather than the symptoms. The ophthalmic market is dominated by five major companies: Alcon (Novartis), Allergan, Merck & Co., Pfizer, and Roche. Each is vying for pole position in key therapeutic fields such as AMD and glaucoma. Many smaller companies are making headway with niche products, including Acucela, Aerie Pharmaceuticals, Inotek Pharmaceuticals, Lux Biosciences, Molecular Partners, Optherion, pSivida, Regeneron Pharmaceuticals, Resolvyx Pharmaceuticals, Santen Pharmaceutical, Sylentis, and Valeant Pharmaceuticals. Pfizer and Allergan recently confirmed they were in talks to merge. A purchase of Allergan, worth more than $113 billion, would restore Pfizer as the world’s largest pharmaceutical company, worth about $330 billion. Treatments for AMD represent the largest segment of the ophthalmic market. By 2019, the AMD market is forecast to generate nearly $7.9 billion. This market will be driven by the launch of new targeted therapies that treat wet AMD and the first generation of agents to treat dry AMD. BCC Research predicts that Novartis will remain the market leader. However, Regeneron, Roche, and smaller players (such as Ophthotech and MacuCLEAR) and biosimilar manufacturers (such as BIOCAD and Intas Pharmaceuticals) will gain a foothold in the market. Regeneron said it is expecting US sales of its eye-disease drug, Eylea, to grow 50%–55% in 2015. In the United States, Eylea is approved for wet AMD, macular edema following retinal vein occlusion, diabetic macular edema (DME), and diabetic retinopathy in patients with DME. Glaucoma therapeutics represent one of the largest segments of the ophthalmic market. 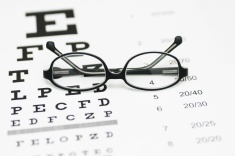 By 2019, the glaucoma market is predicted to generate $6.4 billion. This segment will be driven by the launch of targeted therapies and the availability of a broader range of fixed-dose combinations and user-friendly formulations. In addition, the development of neuroprotective strategies using biologics, antisense, and small-molecule approaches is needed. At the same time, patent expiry of leading products, the emergence of cheaper generics, and the gradual uptake of newer small-molecule medicines will depress sales of currently approved glaucoma products to about $2.8 billion in 2019. In 2013, monotherapies accounted for nearly 80% of revenues ($3.2 billion); the remainder was derived from various fixed-combination therapies ($799 million). DES and uveitis represent small but growing segments of the ophthalmic pharmaceutical market. By 2019, the DES and uveitis segments are expected to generate nearly $3.4 and $2.5 billion, respectively. The market leadership positions of Actavis’ Restasis (for DES) and Novartis’ Neoral (for uveitis) will be challenged by competition from generics and novel long-acting formulations that enter the market over the coming years. In addition, several new classes of drugs that target the underlying cause of DES (versus the symptoms) are under investigation. If successful, these agents, such as interleukin 1 antagonists and neurotrophin mimetics, could significantly change the treatment of mild to severe DES. For uveitis, several targeted biologics are being studied that will change the treatment paradigm going forward. Earlier this month, Allergan signed a $50 million licensing agreement with Mimetogen Pharmaceuticals to develop and commercialize tavilermide (MIM-D3), a topical formulation of a novel small-molecule TrkA agonist, for the treatment of dry eye disease. Allergan will fund Phase III development of tavilermide. BCC Research’s recent study, Ophthalmic Therapeutic Drugs: Technologies and Global Markets (PHM031D), is a comprehensive analysis of the ophthalmic market. Recent improvements in diagnosis, advances in product development, novel formulations and delivery devices, and clinical development of new drug classes are discussed. A high unmet clinical need remains to develop safer, more efficacious treatments with patient-friendly formulations. To this end, companies have made significant investment in R&D. Many innovative small-molecule and biological therapies that will help address these needs are now progressing through late-stage clinical development. If successful, these products could have a considerable impact on the way that chronic eye conditions are treated in the future.